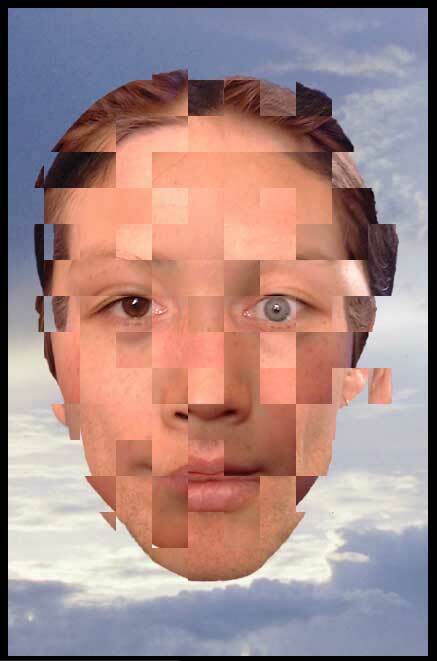 playble digital portrait by Adam Nash and Mami Yamanaka. An exploration of The Human Face. A metaphor for identity. Three faces: mother father son. Identity is blurred, pixellated, inherited and swapped around, informed by both the subject and the viewer. It makes a chimeric sense, but is unpredictable: what one viewer sees another will never. The permutations are as numerous as the identities we present to others, always based on our physical reality, but constantly changing according to situation.